Hey guys – Hope all is well. Been trying out Google’s new social network, Google + and I gotta say… I like it. I was never a fan of Facebook and although G plus and Facebook are similar, it seems Google’s plus seems to be the superior platform from a technical point of view. But will Google’s new social network drop-kick Facebook out of existence? I doubt it… Well not for the foreseeable future anyway but I know one thing for sure… It’ll interesting to see how this will pan out, and all the while we get to sit on the front row watching two Internet giants slog it out. 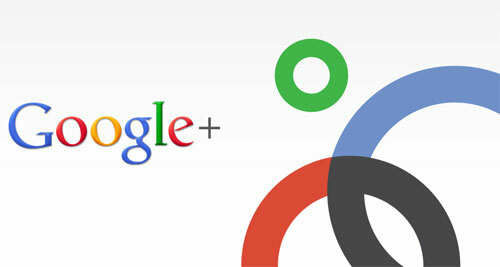 One thing what I REALLY like about Google plus is its circles. With circles you can “segment” people into different lists so you can laser-target your public messages, status updates, video uploads etc without offending or boring others with the information they don’t need to see. This is something that Facebook never had but believe me, if Google plus takes off… It’ll be on their to-do list in no time. There’s properly tons of stuff I haven’t uncovered yet but in all honesty, I’ve only had a brief glimpse inside but I’m interested find out more about it as I get use to it. Yeah that’s right, I want you to join, follow, friend request or whatever G+ wanna call it. This way I can build up stronger relationships with you guys. Who knows… There could be a very profitable JV partnership waiting in the wings to happen, so make sure to search for me and I’ll definitely accept you. I’m a big fan of your ideology and brilliant teaching style – also planning to start executing your YT-video strategy this week! Now re working together I got an VERY unusual on-line => offline JV proposition for you where we could bother make some serious wedge. However as this is very much a closed door offer I’d prefer to talk over the phone top you in person [or maybe even face-2-face depending on each others movements/schedules? Just getting going with G+ myself, I trust it will give FB a run for it’s money! I’m still waiting for Google to send me a sign up link for G+. Do you have invitations for G+, similar to how they did gmail in the beginning? If you don’t, you’ll have to wait for the big G to send me a join link. My name is Cr from the States and I just wanted to state that you’re quite an informative young man. I believe a lot of people have learned alot from you myself included from your videos. Anyone who is just started to look at Internet Marketing or Affiliate Marketing will really appreciate you because you give it straight. No round the bush, but just what someone needs to make money right away. Simple and straight forward. I thank you for the few things you’ve taught me. I look forward to your training emails. God bless, and fel free to share this with the world. I am a big fan of yours. I love to read blog and videos offered by you.